This one applied really well, perfect consistency and the narrow brush was great for application. Once I applied the top coat, I noticed how much this colour sparkles, its the first polish I've bought from this range, I not seen it before, but I'm definitely going to have a look at what other colours are on offer. 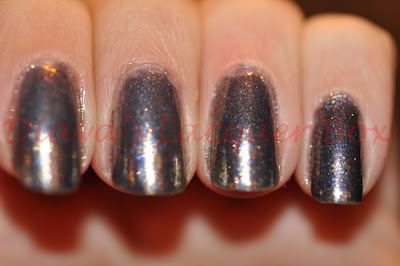 This one has definitely made it into my favourite silver polishes! Simply gorgeous!